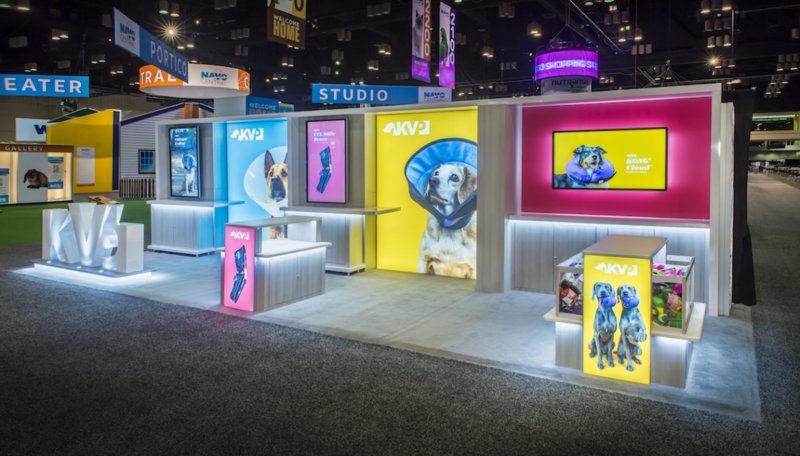 KVP’s vision for its 10x30 inline trade show display was a crisp, minimal design with vibrant pops of color. The booth also needed to include ample space for product display, as well as an open floor plan to allow attendees to flow through the space. Nimlok designed a trade show exhibit that could not be overlooked on the busy show floor. 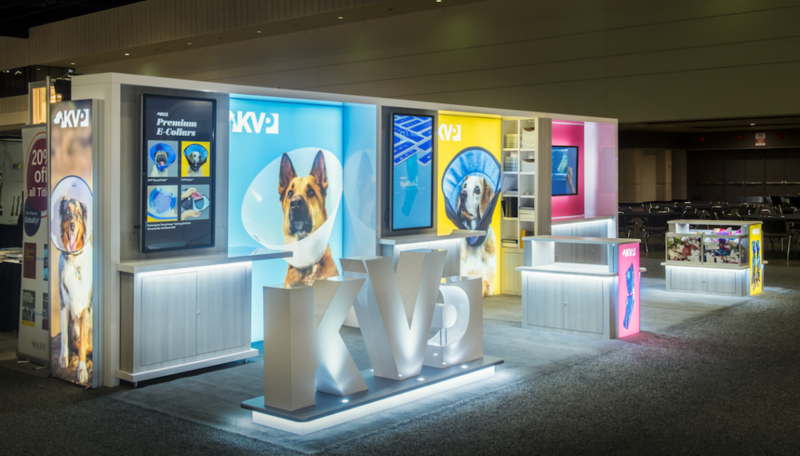 Using the white structure as a blank slate, KVP’s rich, colorful graphics were integrated throughout the exhibit with backlit lighting to enhance the vibrant color palette and high quality photography. A custom made lit “KVP” logo was placed at the forefront of the display to not only catch the eye, but also as an additional branding piece within the space.